I tore off a few strips of Glad Cling Wrap approximately two inches in length and cut them into strips. You don't want to reuse any of these plastic wrap squares—especially if you are doing the ombre nail—since you are actually pulling the polish off of the nail and don't want to combine the colors. I started with my pinky nail and used the lightest color of blue. I only add one coat of polish and immediately pulled off with the plastic wrap. I found you get a better result if you give it about 15 seconds to get a little bit tacky before removing, as less of the polish comes off. As you go through this process, be sure you are painting and marbling just one nail at a time. If you try to paint all five at once, the polish will be a little too dry by the time you get to the last nail. Also, as you I got to the larger nail bed I received better results from blotting smaller areas of the nail rather than one large press. Just dab a little at each side in small blots—again, this removes less in one place and gives more of a marble appearance. I love how my thumbs turned out using the darkest color. After I finished all ten nails I added a top coat and gave them a full ten minutes to dry. The top coat gave it an extra shine, and I really love the results! Next time I'm thinking of trying this with a neon pink base and black on top. Have you tried this? Let us know what you think in the comments! Nice technique! It is kind of cool to have the uncertain outcome and variety rather than a tightly controlled result. Great post, I always wondered how to do this! Hi! great post. I try combine other colors. Amazong results!! That is way neat! You can also make your own nail polish using eyeshadows or pigments! 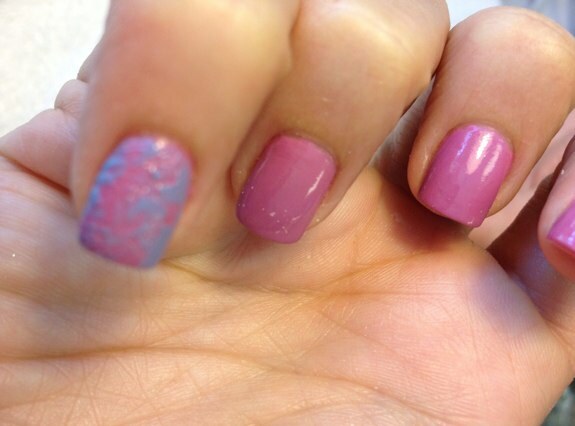 Ombre nails are popular nowadays especially for teenagers and young adults. I really love Ombre nails very much and really appreciate author’s effort to post very informative article. Hi Taylor, thanks for the post, I learn something from it. 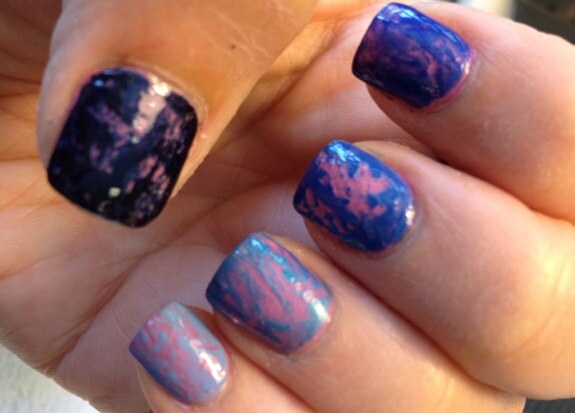 This is fabulous Ombre Nail Art and to use strips to create a different types of designs. this is awesome designs to pain a nails. This awesome tutorial to create ombre nail art. but you can also try valentine day nail art designs. WOW I really love what you’ve done here. Such an incredible technique, who would have thought that something so cheap and uninspiring could lead to these beautiful designs. or would it only work with a shiny finish. Great post, I enjoyed your post it was nice. Good article. These are tips to beautify your nails. The need for women to look feminim. You can also use pigment eyeshadows or nail polish can make your own ! Such beautiful nails. I also have a website to help you make your nails beautiful. 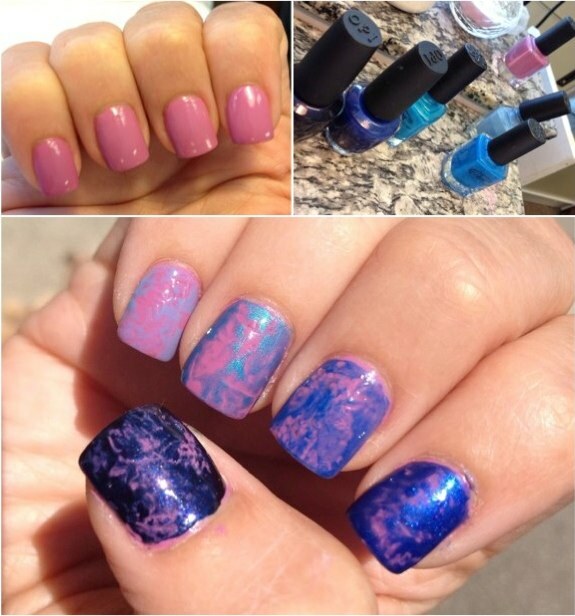 If you are looking for nearby nail salon locations check out our website. Nice and cool one keep it up in future. It is always the best when a post shows clear visuals through photos of the process. Leave a good article that was very functional.